Learn from certified German master baker Pablo with international experience how to work with fresh wholegrain flour, sourdough and yeast water. Various partially forgotten techniques of traditional bread baking are presented and put into practice. The small number of participants ensures that all participants get the necessary information and attention, in order to be able to successfully bake bread themselves at home. Let yourself be surprised how good wholegrain can look, smell and taste! How do I make my own flour? What do I have to consider? Whether a total beginner or a professional baker – this course will inspire you! Course takes place from 8:00 am to 4:00 pm and includes material and lunch. PABLO PULUKE GIET began training at 15 years old in the German baking tradition. He graduated from the Master School of Baking in Munich to become a certified baker, followed by gaining experience at Bäckerei and Konditorei Reichherzer in Munich. He went on to run the production for a small bakery on the Big Island on Hawaii, then worked as head baker and production manager for Kenter Canyon Farms in Los Angeles. He currently does research and development in fresh milled whole grains for Mockmill. Pablo is a certified instructor to train pastry chefs and retail staff as well as bread bakers. Armed also with a business degree from the Business School of Munich, he has managed big accounts such as Mercedes, Red Bull and others for Germany’s leading accessory producer. 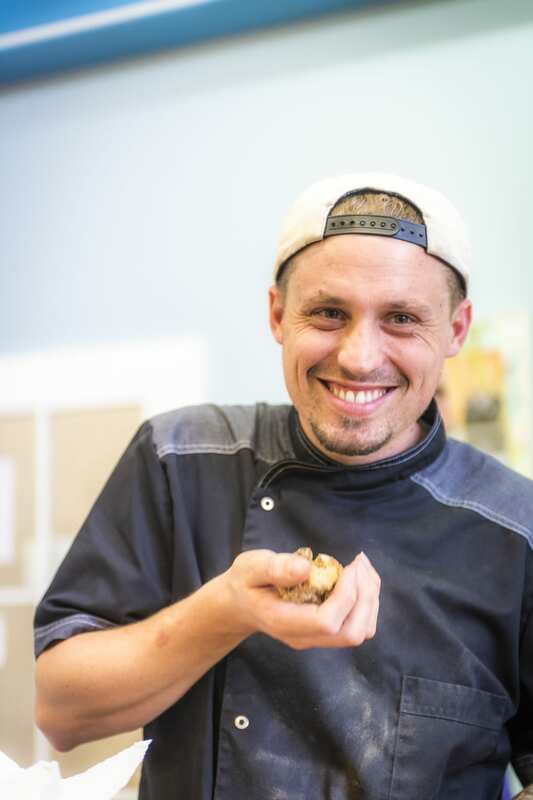 He began his own company in 2017, Der Meisterbäcker, teaching classes, performing live baking demos and consulting for restaurants and bakeries around Europe.